Well its not the macro that I wanted but it's what I got..isn't that the case too ofter :). 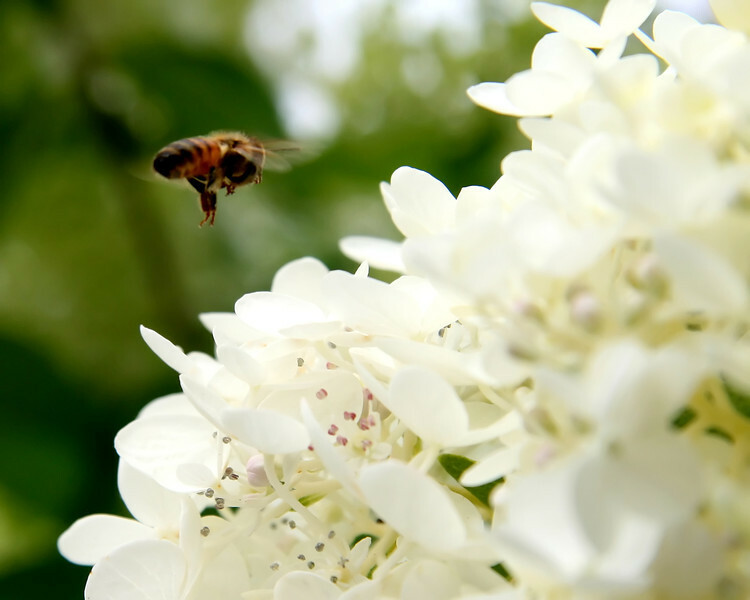 The bees are busy with the PeeGee Hydrangea that is just now starting to bloom..can you say late spring! The crepe myrtle and the mimosa are still waiting..they better hurry or they'll have to wait until next year. Up here in Oregon it has been an amazing summer, with temps in the upper 70's and clear afternoon skies. Remind me of this when I start complaining in January about all the rain. Have a lovely Sunday! Going for the landing? LOL.......great shot!